Check out our FAQ (frequently asked questions) below before submitting an inquiry. For further details on shipping and returns, please go to the Shipping & Returns page. What's the difference between precat deletes (PCDs™) and high flow precats (HFPCs™) for the V6 Engines? What does ceramic coating do? Ceramic coating is a thermal barrier that keeps heat inside in the exhaust component for a cooler engine bay and higher exhaust velocities. All of our parts function flawlessly without the coating; however, it adds nice touch. Our parts are sent out and the coating is applied by professionals and is fully baked cured on ready to run. Both black and silver use the same base material. The silver is more expensive since it is polished. Do I need to buy new gaskets? No you will not. All of our products come with new hardware and gaskets for installs. Will you ship to a different address? Why is my tracking information unavailable? It can take up to 24-48 hours for your tracking number to become active once received. This is normal as it takes a little while for the tracking information to make it into the shipper's system. How can I get more stickers? Please send an email to ling@rv6-p.com with your name and address. Do I need a PayPal account to checkout? 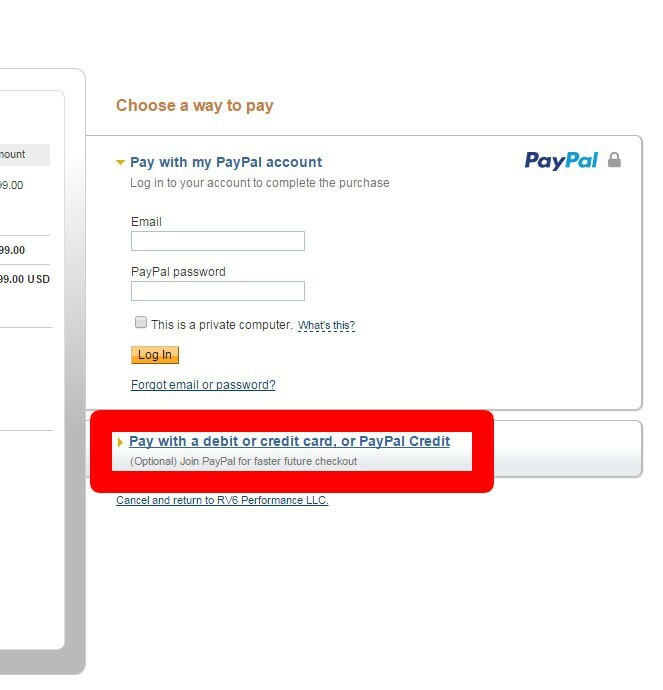 No, you do not need to have a PayPal account to checkout. I don't see where to pay with a credit card. After you click place order, you will be directed to PayPal. You will select the 2nd tab that says Pay with a debit or credit card, or PayPal Credit. We typically try to keep our shelves stocked, however, items do run out. All of our products are built in small batches by our master welders to control quality. You can check on the status of your order by visiting Order Status. We ship Monday-Friday, except holidays.